Getting closer to Halloween it is finally time to do something with our pumpkins. Why not try a slightly untraditional approach this year? Here are 6 projects that will keep you and your children entertained! How fun!! I especially love the owl ones...too cute!! I am definitely going to try the Cinderella Carriage! Cool! What wonderful pumpkins! They're all so great with the mouse carriage being my particular favorite. 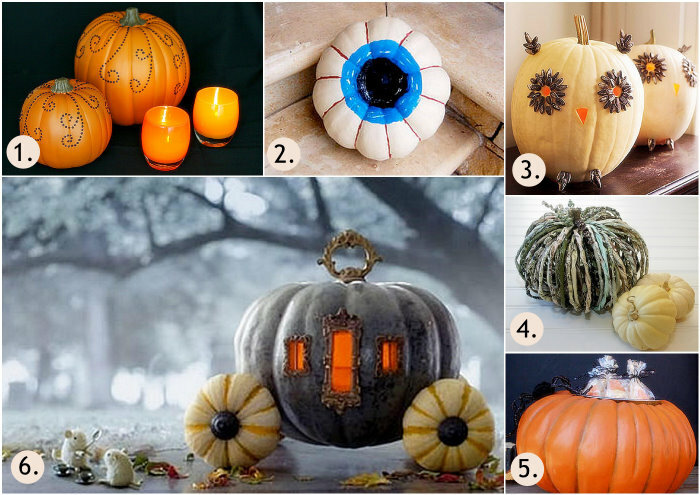 Very cool pumpkins, except the second one, it's a little scary. Thanks for sharing! Always a joy to see how may ways you can decorate a pumpkin!